Despite announcing reissue plans way back in 2015, Ben Stiller's old band Capital Punishment are finally reissuing their sole album. 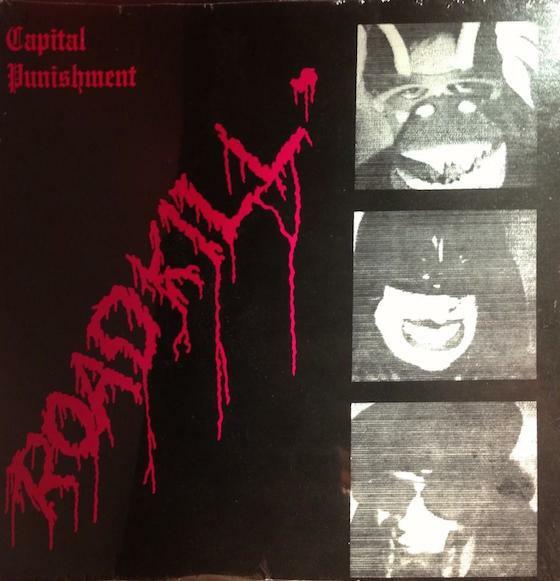 Captured Tracks has confirmed it will at last reissue Roadkill on September 14. As previously reported, Stiller was the drummer in the New York City weirdo punk act, who self-released their one and only album in 1982. Besides Stiller, Capital Punishment featured Kriss Roebling, Peter Zusi, and Peter Swann (who went on to become a Supreme Court Justice in Arizona). "What happened was some outsider music label — which I didn't know those existed, people who are into weird music — I guess it's been found, and they asked us if they could, not re-release, but release it," Stiller explained to Howard Stern of the proposed reissue back in 2015. "It's not about me, it's about Capital Punishment. This company, they're called Captured Tracks, and they're putting it out." Stiller went on to call the band "ridiculously weird." "We were listening to a lot of Bowie and Eno," he added. "It's not great.... We never even played at parties." For the reissue, Roadkill will be remastered and expanded, with two bonus tracks added to the re-release. For a taste of the album, you can hear "Muzak Anonymous" below. You can pre-order the reissue over here.